Many folks in our San Diego community experience dry mouth occasionally. Some develop dry mouth in social situations or when they are under a lot of stress. Sporadic or infrequent dry mouth is usually not a problem. Constant dry mouth, or Xerostomia, is not only irritating, it can lead to severe health problems. San Diego people should not take their saliva for granted. Your saliva plays a very important role in maintaining your health. One of its roles is to help digest your food. The moment food enters your mouth, saliva starts breaking it down so your body can metabolize it. If you don’t produce enough saliva to perform this task your body may not be getting important nutrients needed to stay healthy. Saliva also functions as a disinfectant by cleansing the mouth of leftover food, bacteria, and fungi. This helps prevent tooth decay and infections. Many San Diego residents don’t realize that many of the foods we eat are very acidic and our saliva helps counteract those acids in our mouths. I am cosmetic dentist Dr. Marcos Ortega and my staff and I at Marcos Ortega DDS have been treating Xerostomia since 1986. I recommend cutting back on caffeine in such drinks as cola, coffee, and tea. Not only do these beverages stain and discolor your teeth, the caffeine can contribute to dry mouth. I also recommend drinking water throughout the day to make sure you are adequately hydrated. Tobacco and alcohol can also contribute to dry mouth. 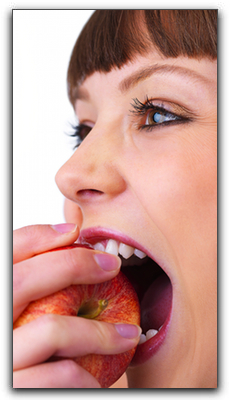 Consult your San Diego physician if you are taking medication that is causing your dry mouth. Dry mouth is not a natural part of aging, so call Marcos Ortega DDS today at 619-295-4545 and schedule an appointment if your dry mouth is getting worse as you grow older. Looking for a gentle sedation dentist who focuses on anxiety-free dentistry or a skilled cosmetic dentist adept at smile design? I invite you to come visit my practice at 306 Walnut Ave, Ste 25 in San Diego. My team of dental professionals at Marcos Ortega DDS make sure you have a pleasant experience whether you visit us for a cleaning and exam or complete smile makeover. Our dental menu includes teeth whitening, crowns and bridges, veneers, clear braces, inlays/onlays, cosmetic dental bonding, and emergency dental treatment. A beautiful smile starts with healthy teeth.